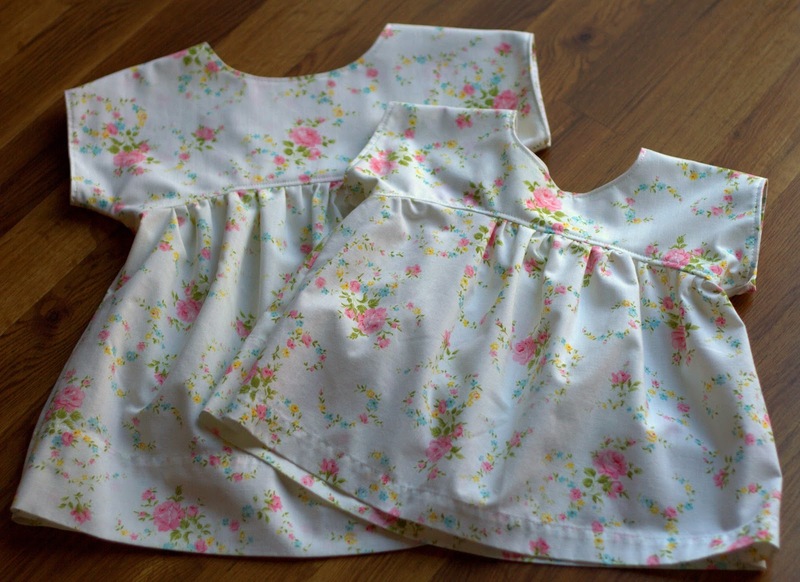 I decided a couple of days ago to start sewing my daughter's Spring and Summer wardrobe. January and February can be very loooong and cold months around here, so anything that helps to feel like Spring is getting closer is a major plus! 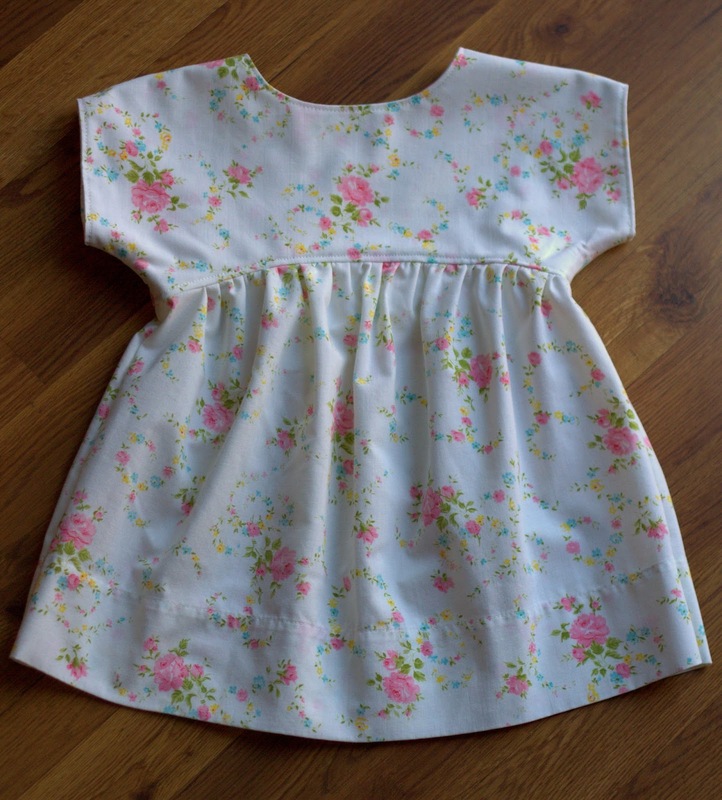 The first thing I made was this perfect little top for PiePie. I am so in love with this pattern that I currently have 7 more cut out and waiting to be sewn up! 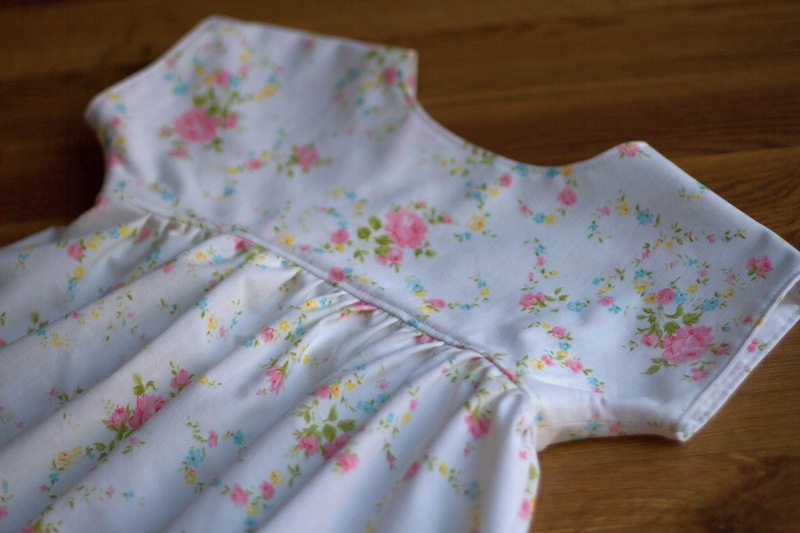 The fabric I used for this one is actually an old bed sheet! 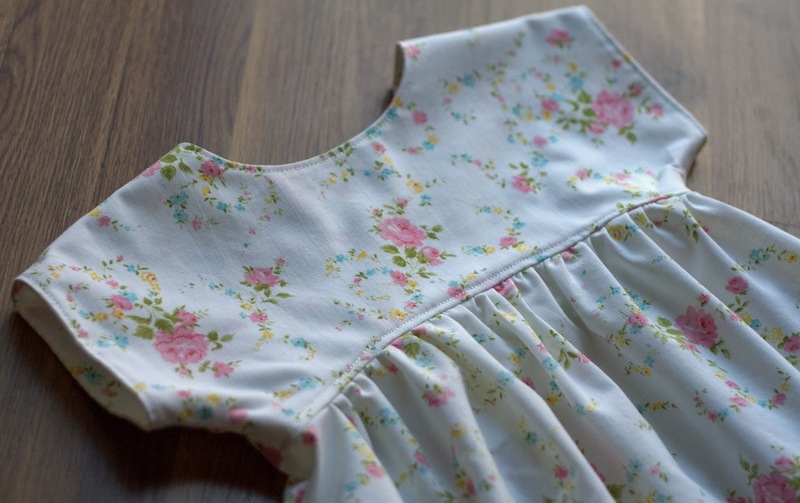 (Pattern details and review are at the very bottom of this post). Doesn't she look adorably happy in her new shirt? I made the pants she's wearing too and posted about them here. I made the top slightly longer than the pattern called for just to make sure it didn't end up too short. 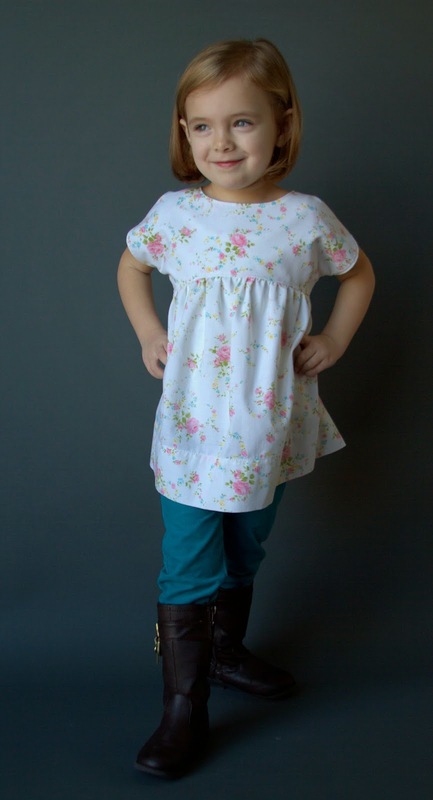 PiePie typically wears 3T width and 4T length for most clothing. Pretty nice old bed sheet, eh? 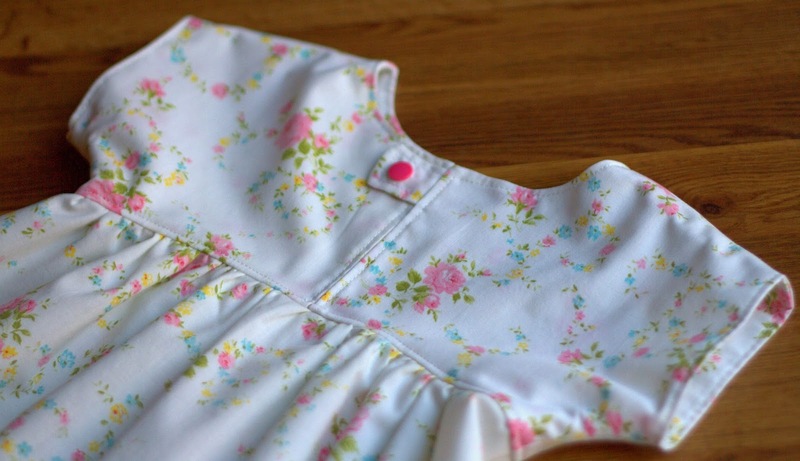 Here's a closer view of the bodice. 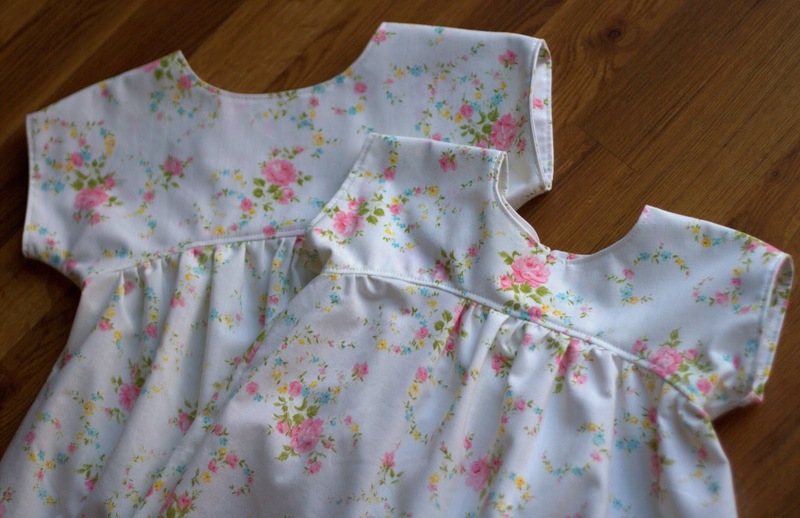 I chose to topstitch around the neckline and sleeves even though the pattern didn't call for it. 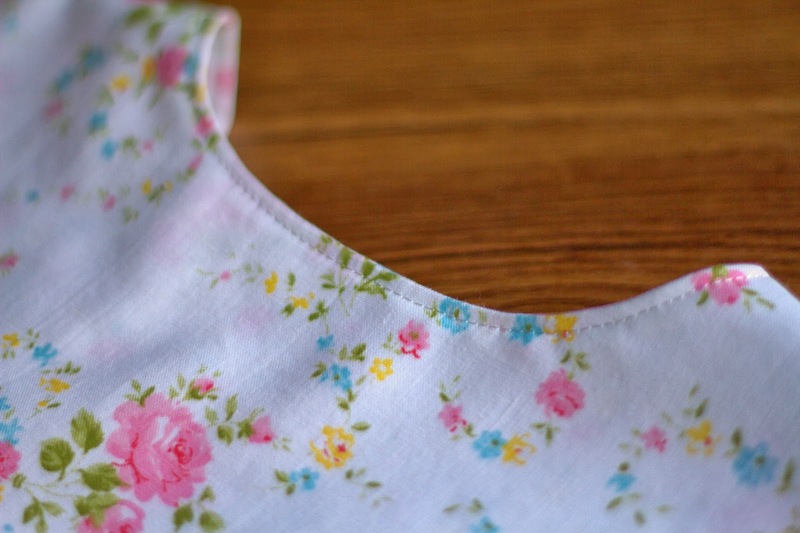 I used the original sheet top as the hem for this shirt so that I wouldn't have to hem it. I used my favorite snaps instead of a button. Surprise!! I made one for baby sister too! I wanted to get a photo of her as well, but she wasn't very cooperative during the photo shoot. 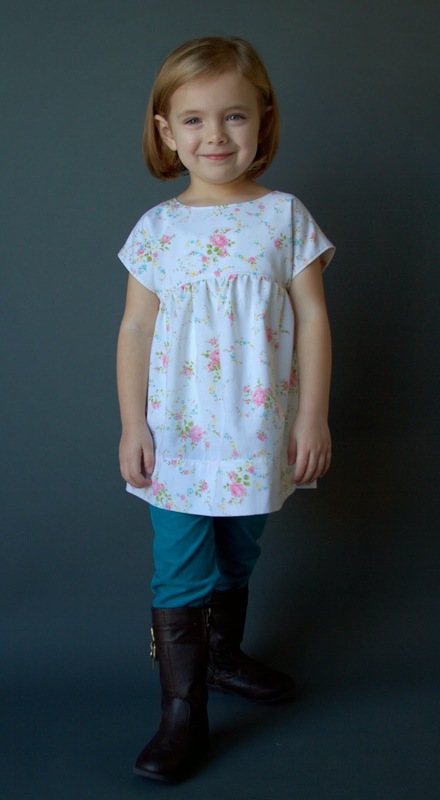 The pattern I used to make these tops is the Izzy Top pattern by Climbing the Willow available via Craftsy. 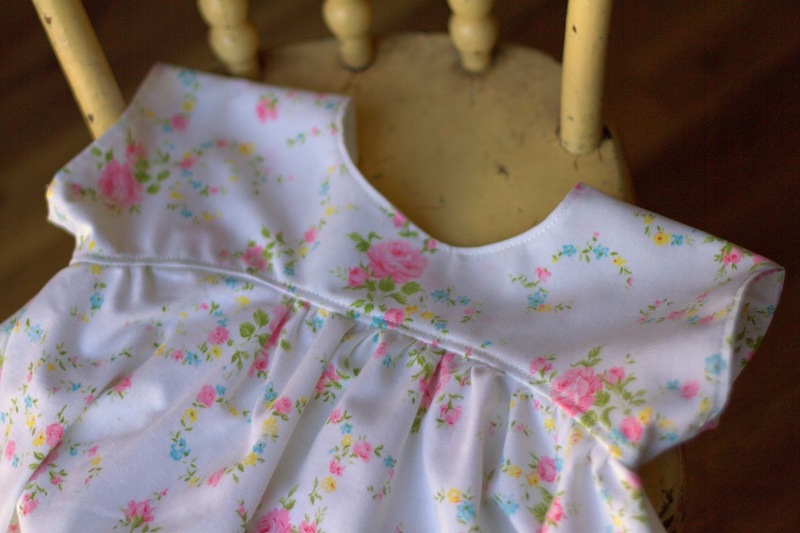 Not only does this pattern create a ridiculously cute top, but it is very easy to sew and it is FREE! Yes, that's right, free and it comes in sizes 18m-5. I highly recommend this pattern to anyone and everyone. It is definitely a project that a beginner can accomplish and be proud of. Hi Teri! Nice to 'meet' you! I'm so in love with this pattern! I'm working on 7 more for PiePie right now assembly line style! Thank you Zura! What a nice compliment. Very cute! 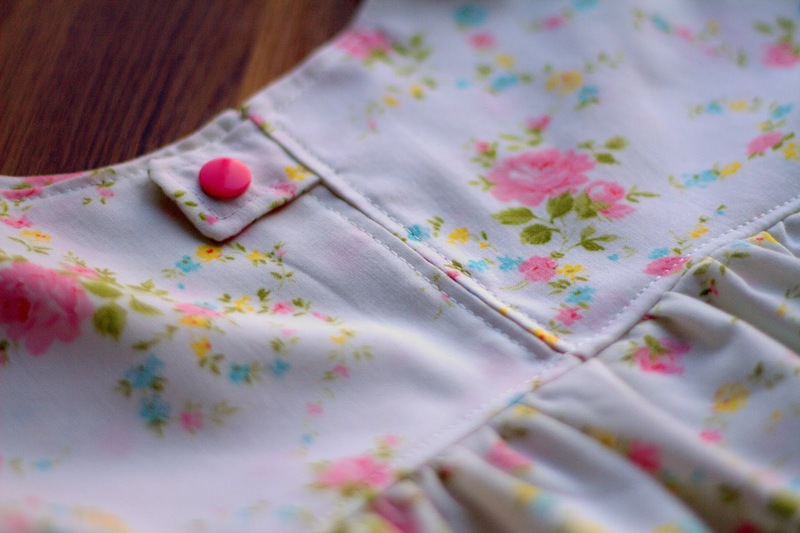 I like the extra topstitching - will have to do that on my version. Very cute top. 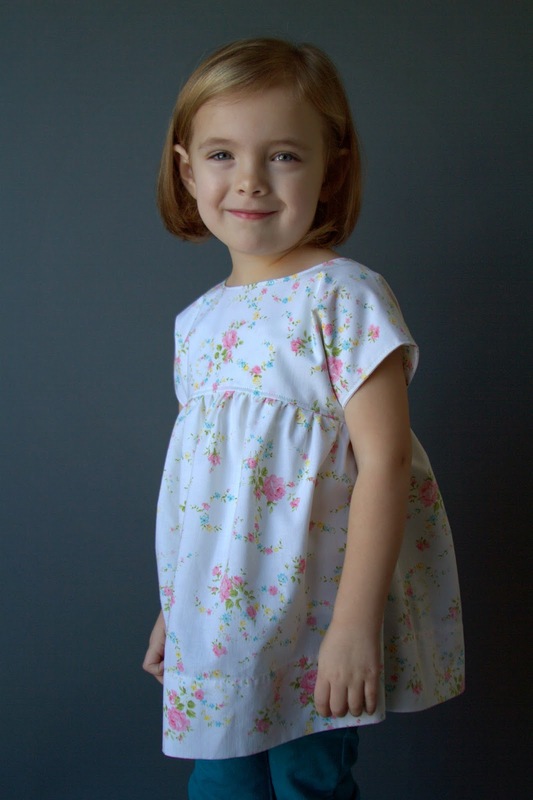 I printed out the pattern myself, and plan to sew a 5t for my granddaughter. You will love it Deborah! Beautifully done! Gosh that is so sweet. These little tops are adorable! I love that you made one for baby sister, too. Using those pretty sheets was a wonderful idea. I know that they are so soft and comfortable to wear. Thank you for giving the link to the free pattern. I can see me making a couple in the near future! Thank you! I just love up-cycling. You'll love the pattern! Thank you! 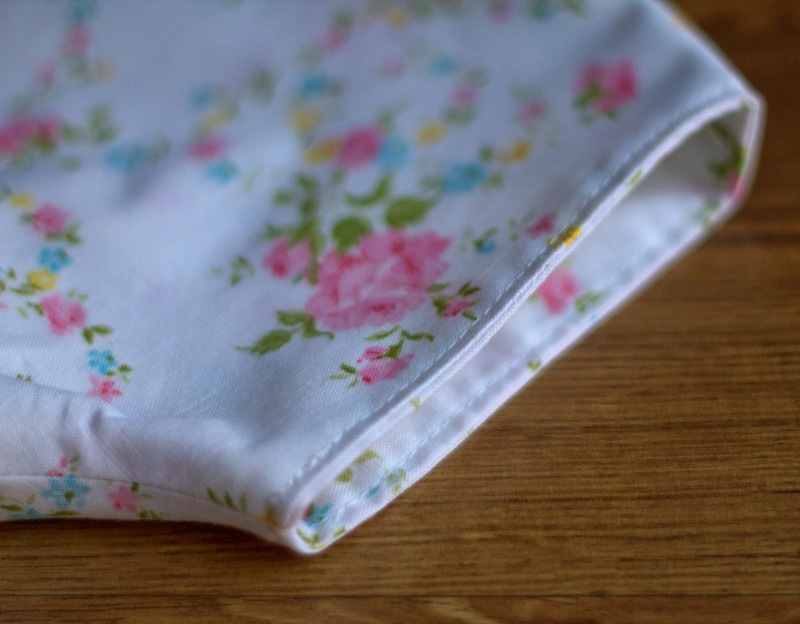 I love the Izzy too and this sheet was meant to be made into Izzy's! Very sweet. I think I'll be making some of those for this summer. Perfect fabric for it too. LOVE the fabric! It's perfect! Thanks Karly, I just love it too! So glad to have found it. Thank you! I'm going to check yours out now. Beautiful! 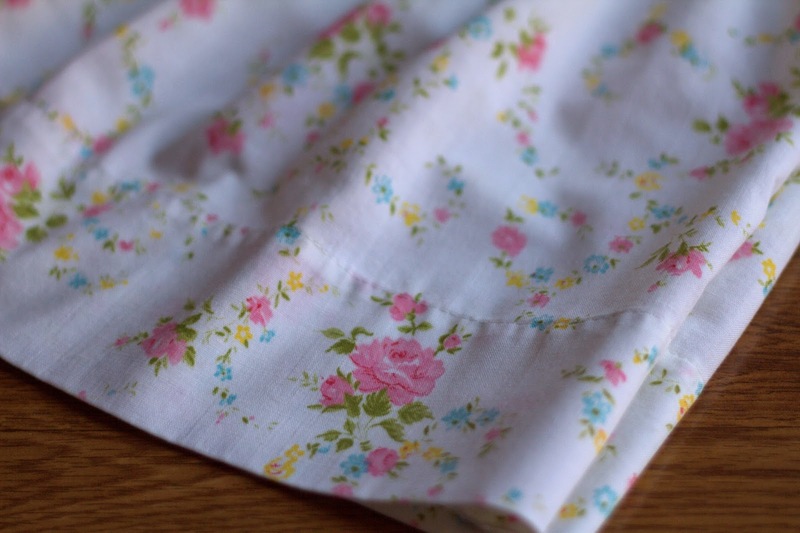 I really love this fabric (old sheet :)). Well done! 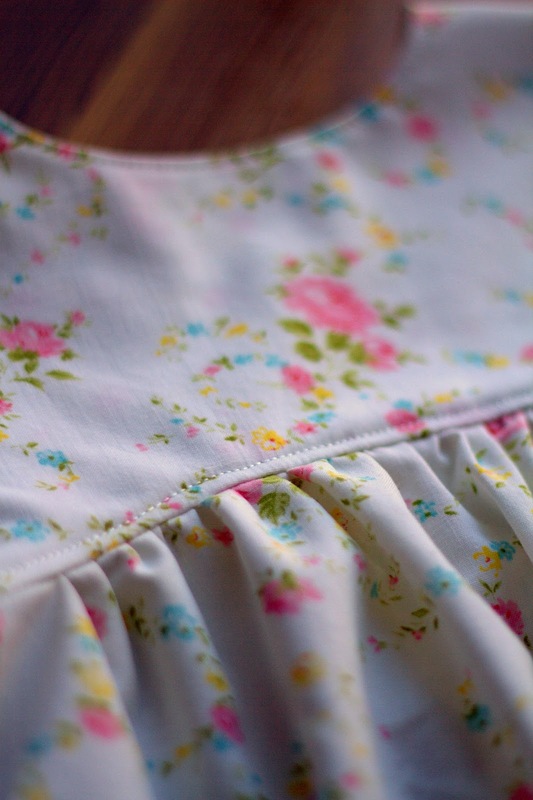 Such a cute top, that fabric choice was perfect. Thanks Vonnie! This one definitely reminds me of Spring. Hopefully Spring will arrive one of these days. Thanks for letting me know! I've updated the link. Enjoy! I also would like to add that your work is simply beautiful. Your daughter makes my heart melt. MY daughter said the same thing! 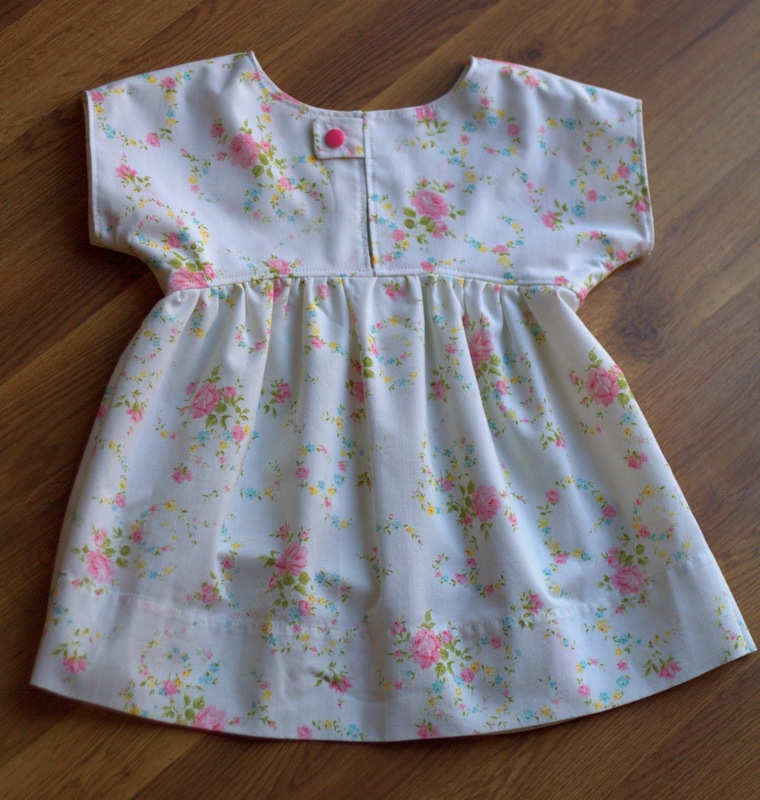 I will be making a top and/or dress for my 4 year old granddaughter. She loves it when her Bebba sews for her! Thank you for your sweet comments on my work and my daughter. I can't believe she's 8 now!! 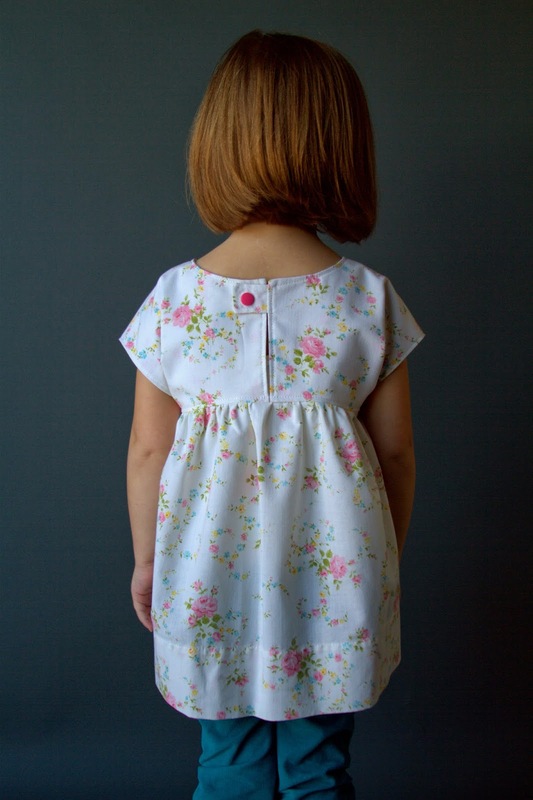 I'm not sure what's going on with Climbing the Willow, but I do have a PDF of the sewing tutorial. I can send it along to you, just email me at piepiedesigns@gmail.com and I'll reply back. You're the best! Email sent! Thanks so much for offering to send this out to those of us who are working on this top!